Ross has been serving as student pastor at Morningside Baptist Church since August of 2005. 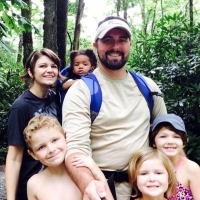 He is married to his wife Erin and they are the proud parents of Madison, Micah, Mercy, and Mya. Ross started his ministry soon after he felt God calling him to full time ministry at the age of 18. He served as the middle school youth pastor at his home church in Orlando while attending the University of Central Florida. Ross has a heart for impacting students, families, and the community with the powerful message of the Gospel. His desire is for students to KNOW Christ, OWN their faith in Christ, and make Christ KNOWN among their friends and family.